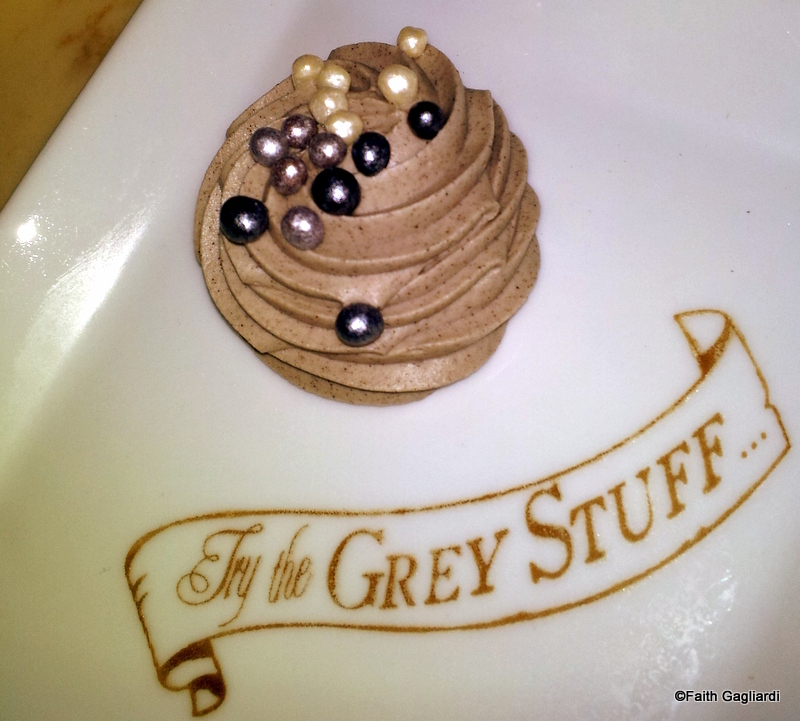 Try the Grey Stuff at Be Our Guest Restaurant! I was super excited to see the photo and review posted over at the DisneyFoodBlog.com today! The gang over at DFB said the taste was subtle. They took turns at guessing the flavor but were finally told the grey stuff is actually cookies and cream flavored. The decorative topping had a Rice Krispie type of flavor – and they said it was delightful. I just had to share! Have a magical day! ← Throwback: Video and Photo Tour Halloween Around the Globe 2012 – Disney Style! is it at lunch or dinner? This is dinner! I haven’t had lunch there yet – so I’m not sure what the situation is for the grey stuff. I suspect they don’t have it at lunch. It is more of just a surprise ending to your dinner. It’s not on the menu – they just bring it out if you ask them to. I hope this answers your question. Thanks so much Alicia!